Laser-based scanners, GPS and sophisticated software are all available to today’s mine survey office, supplementing more traditional instruments. E&MJ reports on some of the more popular systems on the market. 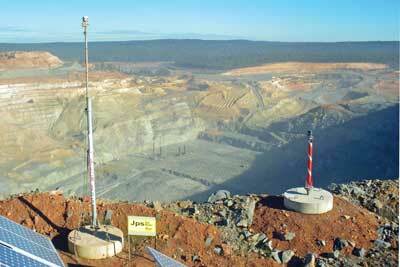 Locata Corp.’s networks enable deep open pits to maintain accurate positioning capabilities. Today, the mine survey office is equipped with instrumentation and software that would be far beyond the imagination of Young and his contemporaries. The often beautifully crafted one-off mine plans of the 19th and early 20th centuries have been replaced by on-screen and laser-printed documents, mass-produced on demand. And, of course, a beautiful hand-drawing was no guarantee for enhanced accuracy: mine plans were only as good as the original surveying would permit, and could easily be misleading if the surveyor had made mistakes. Even now, Young’s comment about litigation can resonate, albeit usually from the perspective of health and safety issues rather than the claim-jumping to which he alluded later in the book. For example, a recent corporate manslaughter trial in the U.K., connected with the deaths of four workers in a small Welsh coal mine following a water inrush, heard evidence from surveyors who had produced plans there at various times, with one of the key questions being the spatial relationship between the current and old mine workings. Current-generation surveying systems provide the mine surveyor with the means both to produce highly accurate plans, and to manipulate survey data to give 3-D representations of operations and projects. In addition, setting out underground has been simplified through the use of tunnel lasers, while laser-based leveling systems have added a new level of precision to surface excavation. 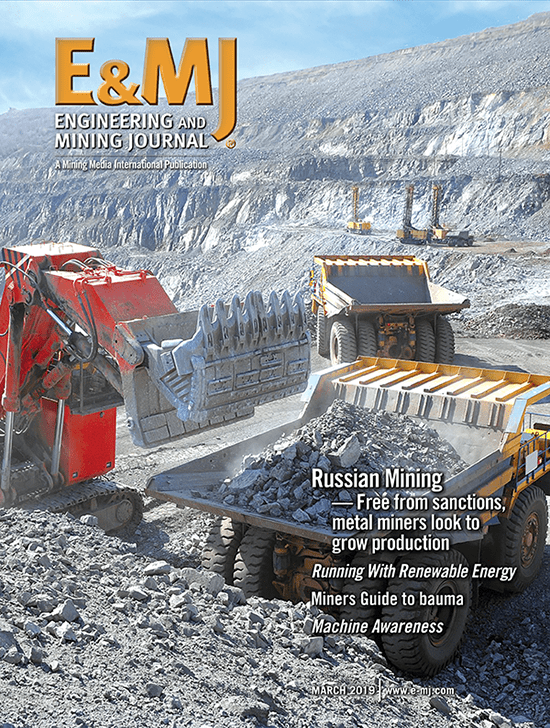 Over the past 18 months, E&MJ has looked at a range of surveying- and mapping-related topics, including digital mine mapping (January 2013, pp.40–43), slope stability (May 2013, pp.32–41), and unmanned aerial vehicles, or UAVs (July 2013, pp.44–45). This report brings together these threads and some other aspects of the technology available to the 21st century mine surveyor. In June, Leica Geosystems was one of the participants at the HxGN Live corporate conference in Las Vegas. Part of the Swedish Hexagon group, Leica Geosystems offers the mining sector both state-of-the-art surveying equipment and its Jigsaw fleet management system. Last December, the company announced the launch of its Jps Jigsaw positioning system, developed in conjunction with Locata. Tools available for underground surveying include Leica’s boom-mounted robotic cavity monitoring system, which can provide survey data from environments such as open stopes. Operated by remote control from a safe location, data are gathered and transmitted wirelessly. For processing data, Leica’s fieldPro provides an interface to combine AutoCAD software with Leica total stations, enabling the surveyor to work directly on 3-D mine designs while superimposing measurement data. The system includes mining-specific layout and markup functions for underground surveying, and allows features such as over- and under-break to be displayed. Leica’s airborne sensors can be tied in with products from another Hexagon company, Z/I Imaging (formerly Zeiss), which has 80 years of experience in producing systems for airborne photogrammetry. Leica’s airborne Lidar (light detection and ranging) instruments can also produce high-definition bare-earth digital elevation models that can be used for applications as diverse as identifying exploration targets beneath thick vegetation and monitoring mine-induced subsidence. The company cited the example of a British Columbia, Canada-based company that specializes in subsidence monitoring using its ALS-70 Lidar scanner, which, it said, has a 100-mm (4 in.) vertical accuracy and is one of the few airborne laser scanners with the power and multipulse capability required for mining applications. 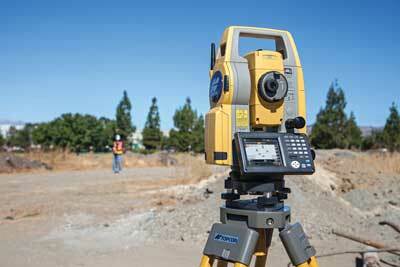 One-person operation with a Topcon DS total station. CEO Nunzio Gambale told E&MJ that Australia-based Locata Corp. has invented a new technology that creates local terrestrial positioning networks. These provide a high-precision GPS-style positioning, navigation and timing (PNT) capability that is completely independent of satellite signals, he said. Not only does this provide extremely accurate and reliable GPS-like services but it simultaneously resolves many satellite-based PNT shortcomings, Gambale added, including the ability to reach areas where GPS is degraded or denied. 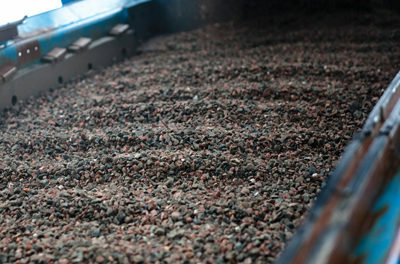 Open-pit mining has been an eager early adopter of Locata, he said. With drill rigs needing better than 100-mm (4 in.) 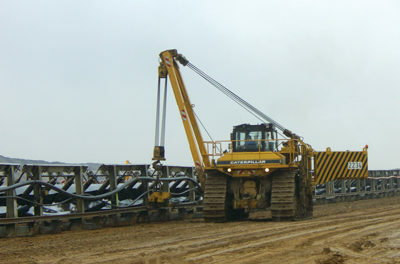 accuracy to achieve effective controlled drilling automation, mines have attempted to use GPS receivers using standard survey-grade techniques. However, this approach becomes less effective as the pit depth increases, since satellite-only receivers cannot calculate an accurate position when too few satellites are available. meter-level machine positioning, even when RTK (real-time kinematic)-GPS fails completely, Gambale stated. 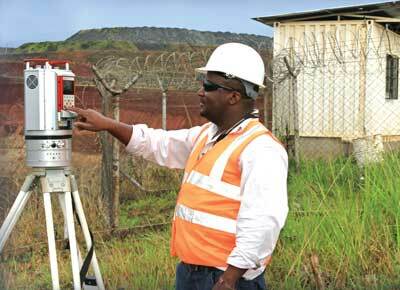 A Reigl laser scanner in use at AngloGold Ashanti’s Geita mine in Tanzania. (Photo courtesy of 3D Laser Mapping). While much of the focus is understandably on the larger scale of things, there remains a real need for “traditional” types of survey equipment that can be used for site-specific and underground surveying. Most of the world’s manufacturers of survey equipment include this type of instrument in their product portfolios, albeit considerably more sophisticated technologically than the theodolites and levels that Young was familiar with in the early 1900s. As an example, Topcon Positioning Systems offers its DS series of compact, auto-tracking total stations, designed for one-man operation in tasks such as volume surveying and setting-out. The DS includes an electronic distance-measurement system with a range of up to 1,000 m (3,280 ft), while the operator can control the instrument remotely from the prism pole, up to 300 m away. Auto prism tracking is also available as an option. Perhaps designed with mining and exploration in mind, the instrument’s IP65 waterproof cover helps exclude dust and driving rain, while the instrument itself can be used in temperatures from –20°C to 50°C. Security is also built into the DS series, Topcon added, with its inbuilt TSshield communications module including a feature that enables an instrument to be disabled remotely if it is lost or stolen. Data handling and manipulation is done using Topcon’s Magnet software in both the field and the survey office, with data download via a USB port. The Austrian surveying equipment manufacturer, Riegl, used the last MINExpo in Las Vegas to launch its VZ-6000 laser scanner. Designed for ultra-long range applications in topography and mining, the VZ-6000 has a measurement capability of more than 6,000 m in static applications, making it suitable for mapping and monitoring in open pits, the company said. The instrument joined the VZ-4000 model, which equipped with an eye-safe laser, can make up to 222,000 measurements per second at a maximum range of 4,000 m. Both models are designed to work with Riegl’s RiMonitor and RiMining software packages, with RiMonitor used for monitoring pit walls for signs of potential instability. 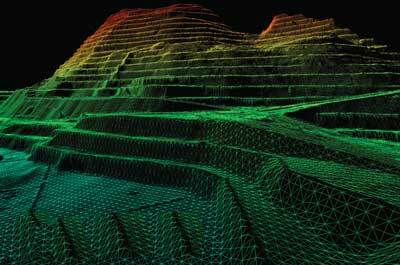 RiMining is a software package for optimized and simplified scan data registration and processing in open-pit mining. Riegl said the main applications include surveying in open pits, quarries and dump sites, monitoring excavated and filled areas, and making mass calculations, as well as extracting input data for site modeling. RiMining speeds up field-surveying, the company added, providing workflow automation and automatic data registration. VZ-Line laser scanner field-data can be imported and registered without any targets, so reducing the survey times on site. The U.K.-based scanning system supplier, 3D Laser Mapping, told E&MJ that its systems now working at Anglo Platinum’s Mogalakwena mine in South Africa and AngloGold Ashanti’s Geita mine in Tanzania use Riegl VZ-4000 and VZ-1000 laser scanners, respectively, for data acquisition. Data are processed in SiteMonitor software for slope stability surveying. The ZEB1 handheld laser scanner produces 3-D images from data gathered at walking speed. 3D Laser Mapping recently acquired the rights to commercialize a mobile Lidar scanner developed by the Australian research organization, CSIRO. Now marketed as the ZEB1, and nicknamed Zebedee after the character in the French-British childrens’ TV program The Magic Roundabout, the handheld instrument offers a number of benefits when it comes to surveying stockpiles, buildings or excavations, the company said. These include its ability to scan large areas quickly, at walking speed, to gather 3-D point clouds in areas with no GPS coverage, its low training needs, automated data processing and the fact that the unit is lightweight, at just 700 g.
The ZEB1 uses robotic technology called Simultaneous Localization and Mapping (SLAM). The system includes a lightweight laser scanner mounted on a simple spring mechanism, which continuously scans as the operator walks through the environment. As the scanner loosely oscillates about the spring, it produces a rotation that converts 2-D laser measurements into 3-D fields of view. The company cited an example of using the ZEB1 to survey a covered stockpile at a mine in Chile, while comparing its performance with traditional terrestrial laser scanning. Data capture with the ZEB1 was found to around five times faster while automatic data processing, via 3D Laser Mapping’s secure server facility, took less than five minutes, the company reported. Data accuracies and definitions were also found to be well within the specified ranges. Surveying voids, such as open stopes, abandoned mine workings or orepasses, is probably the most hazardous task in the mine surveyor’s handbook. Now integrated into the Renishaw group, U.K.-based Measurement Devices Ltd. (MDL) offers a solution with its C-ALS (Cavity Auto-scanning Laser System. Renishaw claims that C-ALS can provide the data needed to plan projects and design engineering solutions in situations where voids and cavities would otherwise make work dangerous or undesirable. It consists of a 50 mm-diameter probe that is mounted on a system of hinged, lightweight, 1-m-long rods that can be extended up to 200 m. The instrument can also be deployed by boom or by remote-controlled vehicle. In-built sensors ensure the C-ALS can be tracked down a borehole and that the scan is automatically geo-referenced to fit into existing 3-D mine data. 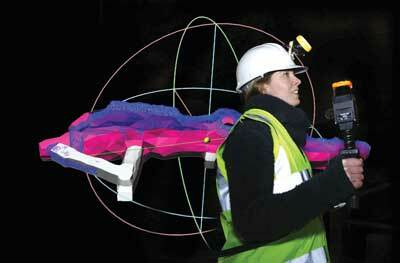 Once in the void, a simple click from the operator tells the laser-scanning head to rotate on two axes, measuring the 3-D shape of the void, with full 360° coverage and a range of up to 150 m.
An example provided by Renishaw described the use of C-ALS in monitoring abandoned underground limestone workings in the English city of Bath. With a $250 million project under way to stabilize the workings, which lie beneath built-up areas, C-ALS has been used to survey the extent of the voids, and to establish the volume of foamed concrete fill needed. The system has also been able to identify additional places to drill, and to create a comprehensive digital record of the work. Renishaw noted that the cost of the system was paid back in just four months. The MS3 automated shaft inspection and monitoring system, developed by the Canadian company, Sight Power Inc., provides a new way of inspecting and surveying shafts that has much less of an impact on operations than traditional methods. The company’s business development manager, Dmitry Reznichenko, told E&MJ that the system is aimed at regular—in most cases, weekly—inspection. “As it stands,” he said, “the MS3 is not available as an off-the-shelf system, but consists of custom hardware and software set up and tailored to a client’s needs and environment. 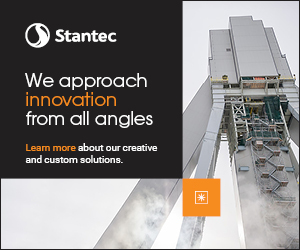 Because of this, we have partnered with the German company DMT to provide a cheaper and a more universal solution for ad-hoc shaft inspection and/or monitoring,” he added. The systems involve the use of a Lidar-based laser scanning system, together with other sensors, that are mounted on either a cage in an working shaft, or are cable-suspended where old or rarely used shafts need to be surveyed. A 1,500-m-deep shaft typically takes less than a shift to survey, with the cloud point data collected then processed in Shaft Inspector software to produce accurate 3-D images of the shaft and all of its infrastructure. Where repeated surveys are undertaken over a period of time, changes in the condition of the shaft structure or service ranges can be identified accurately. Sight Power stated that since its systems operate on the move, they enable shaft surveys to be done much more quickly and cost-effectively than in the past, providing engineering staff with clear information on which to base maintenance decisions before any problems become critical. Trimble describes its UX5 Aerial Imaging Solution as a complete unmanned aerial imaging system specifically designed for surveyors and geospatial professionals. A fixed-wing aerial vehicle weighing 2.5 kg, and with a 1-m wingspan, the UX5 is not a remote-controlled UAV, but is pre-programmed, using waypoints during flight. Used to perform boundary and topographic surveys, site planning and inspections, progress monitoring, volume calculations and post-event analysis, the UX5 has a 60-km range and 5,000-m ceiling. Operators use Trimble’s Access Aerial Imaging application running on a tablet PC for flight planning, pre-flight checks and flight monitoring. In the field, the operator is guided through the pre- and post-flight sequences with step-by-step digital checklists. The company stated that the UX5 delivers optimal image quality along with maximum photogrammetric accuracy. It has a large imaging sensor that captures very sharp, color-rich images, with a camera and custom optics to capture data down to 24 mm resolution. From a single flight, operators are able to generate feature maps, topographic contours, 3-D surface models and orthophotographs, while the data obtained can be processed into outputs such as digital surface models (DSMs), digital terrain models (DTMs) and true orthomosaics. Trimble told E&MJ that it is also focused on extending the value and use of its surveying technology in mining applications. For instance, the S8 Total Station is at the heart of Trimble 4D Control, an automated real-time slope stability monitoring system. The S8 can measure up to 2,500 m with a precision of better than 1 mm in distance and 1 arc second in bearing. The angular accuracy of the total station combined with a network of GNSS sensors and prisms is suitable for the detection of both toppling and slumping failures on a highwall, Trimble added. According to the Australian company, Sandpit Innovation, the mining sector currently uses a combination of ground surveys and aerial fly-overs, with the use of drones starting to emerge, to determine stockpile volumes on a monthly or more frequent basis. Sandpit has now partnered with Lockheed Martin to develop an advanced reconciliation service called mineRECON, which uses satellite imagery to measure stockpiles and provide rapid stockpile volume reports. The subscription service leverages this space-based imagery and advanced analytics to accurately perform material reconciliations throughout complex mining operations, Sandpit said, noting that mineRECON has the tools and techniques currently used in defense applications to automatically process various types of satellite imagery and produces rapid reconciliation reports. While the application of satellite imagery is new to mining, the technology is well-proven, low-risk and continues to evolve rapidly. Currently, nine commercial satellites send back high-resolution imagery to the earth. By the end of 2015, that number is projected to exceed 40 and by 2017, more than 75. Sandpit provides full custom reconciliation reports, including volume reports based on operational requirements, change detection mapping and filtration, and 3-D modeling, as well as the digital elevation modeling (DEM) data. Satellite imagery is collected in under 10 minutes, without any interaction on site. It is non-intrusive and eliminates all HSE risks, the company noted. Advanced processing techniques then allow accurate and repeatable elevation data to be extracted, along with change detection and image filtration, to produce high-quality volume calculations. Other advantages include the system’s ability to capture several mine sites in a single image, and lower costs than current aerial surveying methods, Sandpit stated. * While long out of print, A Study of Mine Surveying Methods and Their Applications to Mining Engineering can be downloaded from www.forgottenbooks.org.